In February I wrote about the joy of teaching that comes from seeing your students go beyond the initial learning to create on their own. My students at Lodi's Beads in Bosque Farms New Mexico "wrote the book" on creativity and initiative; it will take me several blogs to describe all of their work that was built upon the classes that I previously taught at Lod's shop. Last year I had the opportunity to teach a design of mine called "Tucson Bangle II," at Lodi's Beads. It incorporated Delica beads and SWAROVSKI ELEMENTS. Ten students took the six hour class and completed one or two units of the bangle. Instructors always leave classes like this with some trepidation knowing that some students will not go home and continue working on the project, and then at a later date they may have forgotten the technique resigning the materials to the "unfinished" bin. Not so with Lodi's students; they not only completed the project (some in record time), but several students expanded the design with creative twists. Several of the students commented that they do not like bangles, but prefer bracelets with toggles instead. Christina Tolendino very neatly turned my A Night To Remember bangle into a bracelet by adding a slide toggle. One student, Pat Mc Niel, cleverly inserted a toggle between the units of another of my designs. Further, she opened the bangle at two other locations to use her new design as a watch band. (See photos below) Initially Pat was uncertain about modifying my design and thought that it may violate the ethics of beading. I pointed out that techniques are not copyrighted and she simply expanded upon her learning from me, and did not in any way "steal" my creation. Another positive aspect of having students "run" with my designs, is that I now can take my students creativity into consideration and incorporate toggles or clasps into my future bangles as an option. Both bracelets are intermediate skill level projects which use Delica beads and dazzling, crystal SWAROVSKI ELEMENTS! If you have been sitting around this winter watching it snow, and your only outdoor activity has been shoveling snow, you should consider an alternative for winter 2015. In January, just as winter was ramping up, my husband, pet dog, and I hitched up the camper and headed for the Tucson Gem and Mineral Show. The Arctic Vortex caught up with us in Louisiana and iced us in for three days. When we finally broke free from winter's grasp we arrived in Arizona to one of the warmest winters on record. While the locals were complaining about the heat, I pointed out that you don't have to shovel it. One minor glitch was realizing that all of our clothes had been packed in 6 degree weather and were not going to be comfortable in the mid 80's. This year I shared a room in The Windmill Inn with Beth Kraft of Nordic Gypsy fame. We both offered classes as well as project kits for sale. My classes involved projects utilizing Delica beads and SWAROVSKI ELEMENTS. 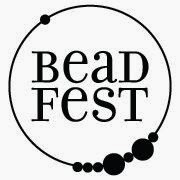 This show is always a wonderful opportunity to check out the newest materials and techniques in beading, and to network with other beading colleagues from around the country. This show typically runs from a couple of days before Punxsutawney Phil (a rodent with the gift of prophesy) predicts six more weeks of reasons to be in Tucson, until late February. Check out this year's websites while they are still up to see the wealth of activities and events that happen here. Hope to see you in Tucson next year! Beth Kraft and I at the show. Melody Spense, Cathy Benton, and I enjoying dinner. Leslie Rogalski and I at the show. A well known writer once said, "Those who can, do; those who can't, teach." This was meant as a derogatory statement at the time, however since then several positive interpretations have emerged. For example, some of our best athletes have no ability to teach what they do, yet some of our finest coaches were never our best athletes. Recently, I taught Tucson Bangle II, which incorporates Delica beads and SWAROVSKI ELEMENTS and uses a new technique that I developed called Cross-Over Peyote stitch. It is always exciting for me to watch my students "get it" and enjoy the process. Several month after the class, I was back at the same bead shop (Bead Soup, Savage Mills, MD) and one off my former students, Jo Ray came to me with several bracelets she had designed using my technique. This, for me, is the greatest joy in teaching when I watch my own students become designer and teacher. So, a better interpretation of the old saying could be, "Those who can, do: Those who can appreciate, teach." Do you have bags of beads in every corner of the house, and under every piece of furniture? Does your dining room table look like a display counter at a bead store? Does your vacuum cleaner sound like there is a hailstorm when you clean around your work area? When you come home from bead shopping, do you find that you already have the same color seed beads or SWAROVSKI ELEMENTS in your stash? The bottles in the photograph are media bottles (square), or chemical storage bottles (round), and both can be purchased from a number of scientific supply houses online. The bottles come in 30ml, 60ml, and 90ml (and larger); the 90ml will hold 150gms of cylinder beads; the 60ml will hold 80gms of cylinder beads; and the 30ml will hold 37gms of cylinder beads or two 10-gross packs of 3mm SWAROVSKI bicones. The bottles are see-through with easy screw on and off caps. When you take inventory, a quick inspection of each bottle will tell you roughly how many grams of beads you have remaining. Further, these bottles store easily in "Really Useful Boxes,"™ available at Staples. The 8.1L box will hold forty-two 60ml bottles or thirty 90ml bottles; the 4L box will hold seventy round 30ml bottles. These clear boxes make inventory and organization by color or size easy, and the boxes stack conveniently for transport. As I was cleaning the vintage chandelier crystals (from my previous blog), I realized some of them had 45 degree angle holes through them. These holes were a necessary part of my designs to embellish the larger vintage crystals with Delica beads and SWAROVSKI ELEMENTS. This presented a brand new challenge as I have no 45 degree needles. Using a flexible dental floss needle did the trick to make the turn in the crystal. Attached beads on either end of the hole were incorporated into my designs. Sometimes the holes in the crystals were larger than a size 11º, or even size 10º Delicas. Instead of using thread, I coaxed a piece of 24 gauge craft wire through the hole and then finished either end with three small turns using fine round nosed pliers. These tiny wire loops became anchor "beads" for the rest of my design. In crystals with sharp edges through the holes that would cut thread, I found that the wire technique worked well. 24 gauge craft wire through a 45 degree hole. Wire loops incorporated as anchor "beads" in the design. Wire used to create anchor "beads" is a crystal with a sharp hole.